Have you ever wanted to write a song? 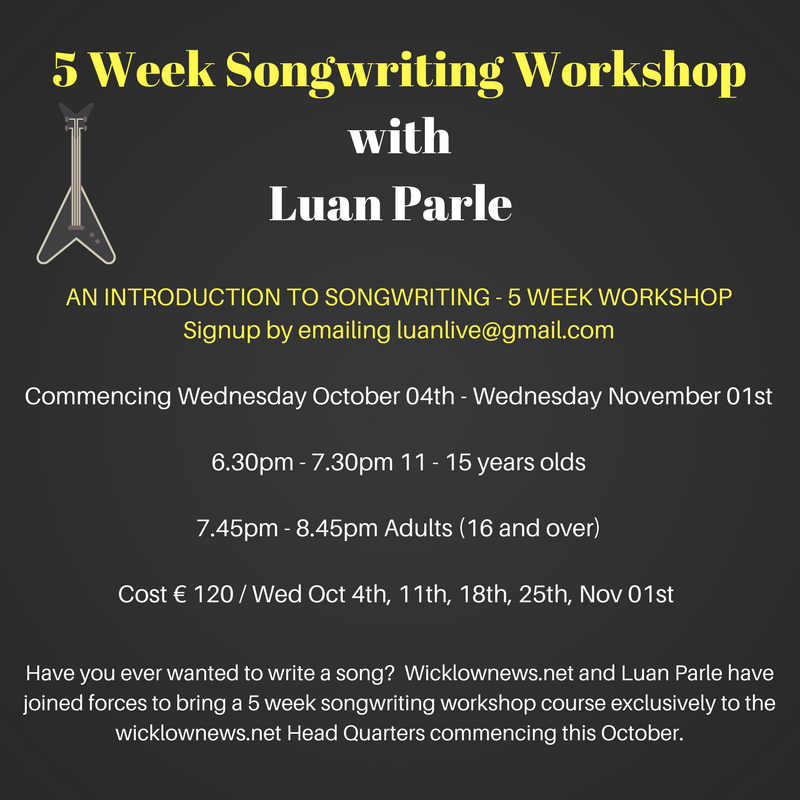 Well Wicklownews.net and Luan Parle have joined forces to bring a 5 week songwriting workshop course exclusively to the wicklownews.net Head Quarters commencing this October. If you would like to put your name forward for the workshop please send your name and age to [email protected] and you will be contacted shortly. Places are limited so don’t delay. Over the past 10 years, Luan has been bringing songwriting & performance workshops to people of all ages around Ireland through her own company LPR Records, through IMRO, Music Generation, The International Literature Festival Dublin among other organisations. The workshop is one hour per week for 5 weeks and focuses on songwriting & performance. The workshop participants will also learn about the day to day workings of the music industry from a professional musician and receive guidance if looking to pursue a career in music. RTE’s Nationwide recently filmed and covered one of Luan’s songwriting workshops which will be aired at a future date. In April of this year Luan brought 5 songwriting workshops in association with IMRO to 5 secondary schools around the country including CCM in Wicklow. She was so impressed by the song written during the workshop that she organised for producer Gavin Ralston to visit the school and record the song with the students. 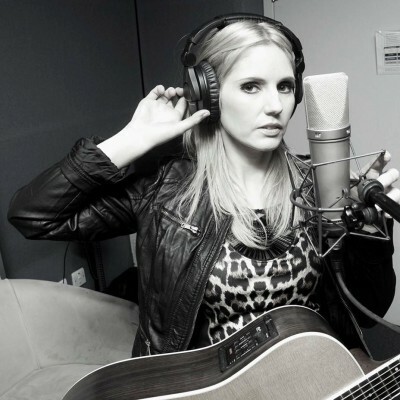 Luan released the song as a single through her own record label LPR Records on September 22nd 2017 and donating all proceeds to The Irish Heart Foundation for prevention of Heart Attacks and Stroke and The Alzheimer Society of Ireland. The single was launched by Minister For Health Simon Harris, went straight to no,1 in iTunes and no.10 in the official single download charts Friday September 29th. Get Your FREE Download Now!! !